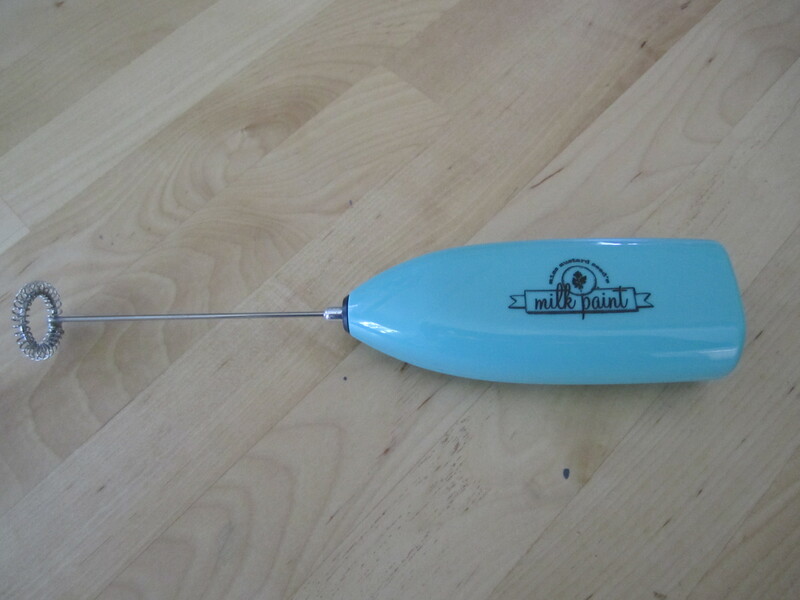 Miss Mustard Seed’s Milk Paint Mixer is a small hand-held motorized paint mixer. This tool can help you achieve a nice smooth paint consistency if you are having difficulty mixing the milk paint powder and water through other methods. Instructions for Use: Place water in a container and then add milk paint powder. For best results, place the frother close to the bottom of the container, mix for 20 seconds. Let stand for 1 minute, mix again for 20 seconds. Repeat if needed, adjusting with more water or powder until you are satisfied with the color opacity and consistency of your mix. Wash mixer after use. The mixer runs on two AA batteries. Batteries are not included. This mixer is not intended for food preparation. Use this mixer strictly for mixing paint.